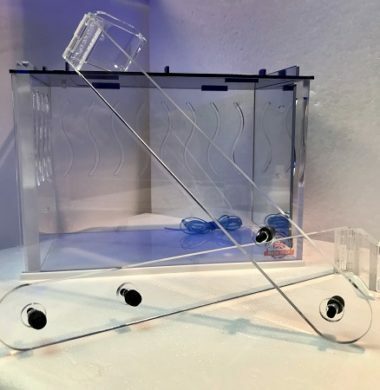 Flipper Standard is made with the strongest rare earth magnets available, allowing it to clean glass and acrylic tanks up to 1/2″ (12mm) in thickness. 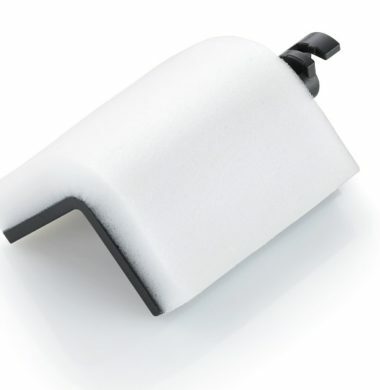 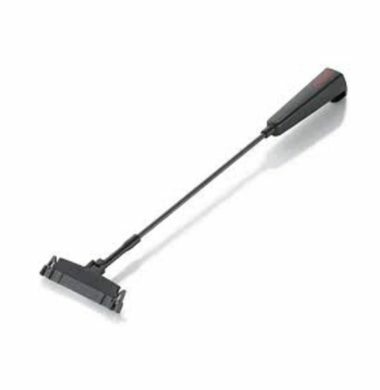 With an ultra-low profile, Flipper is the only dual scrubber / scraper design on the market, it is a major time-saver for daily cleaning. 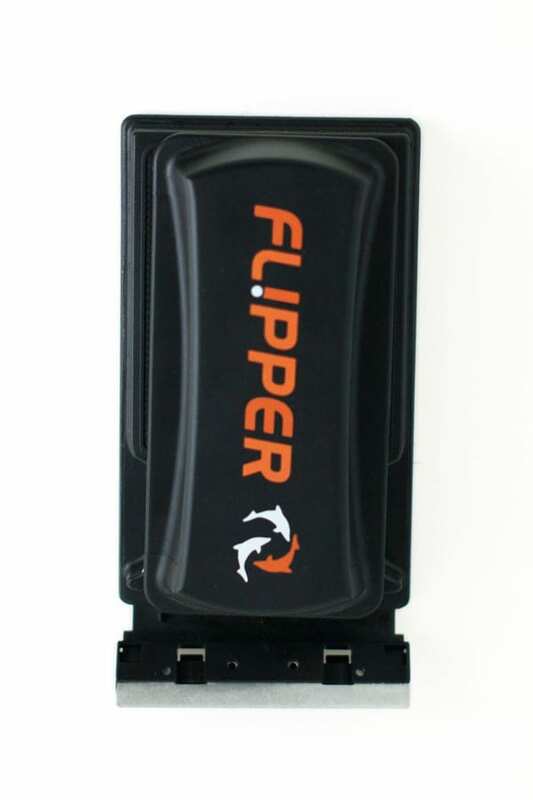 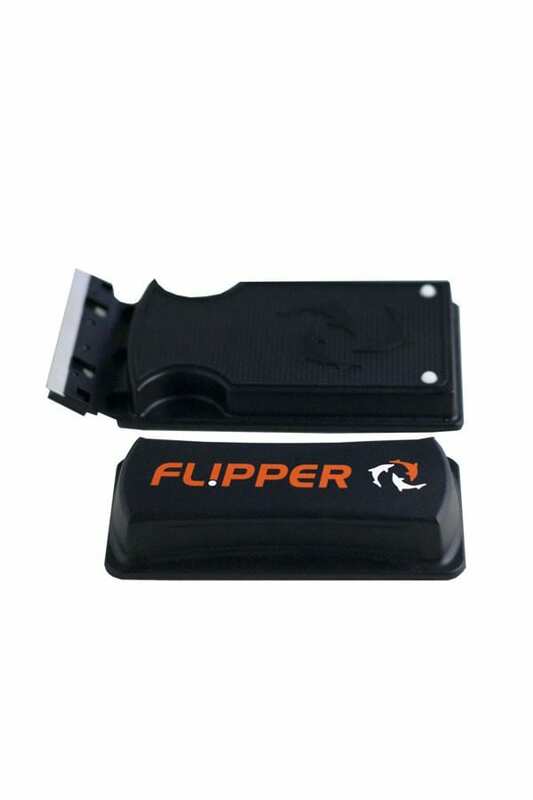 That’s why the Flipper has quickly become a “must-have” cleaning tool for advanced hobbyists and maintenance professionals! 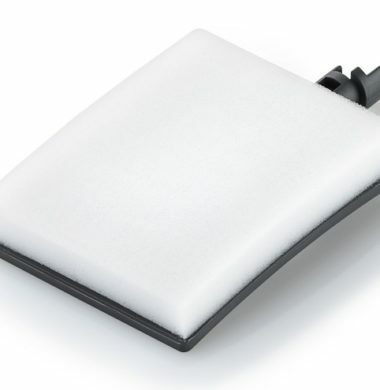 •Made with rare earth magnets for incredible cleaning strength and durability. 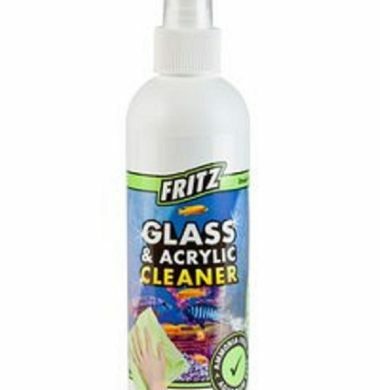 Cleans even the most stubborn coralline algae. 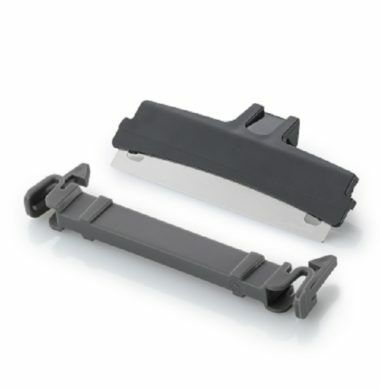 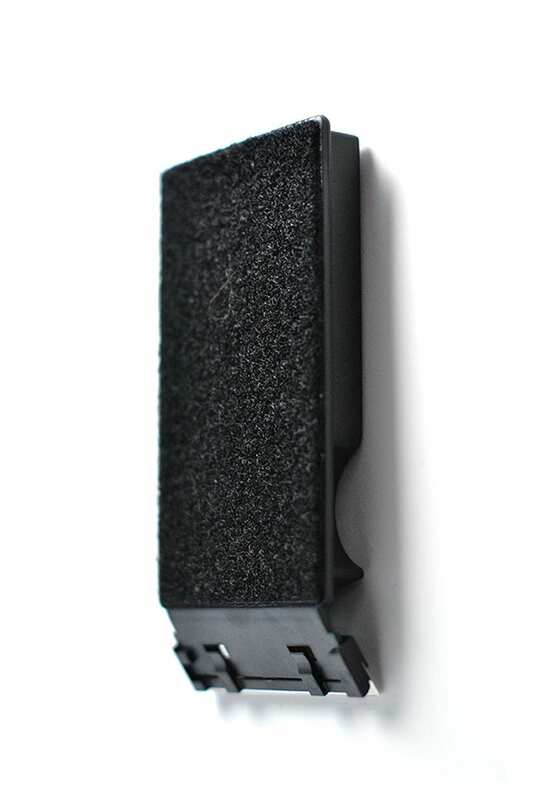 •Blade side has only 3 contact points resulting in a 3mm gap between the cleaner and the glass. 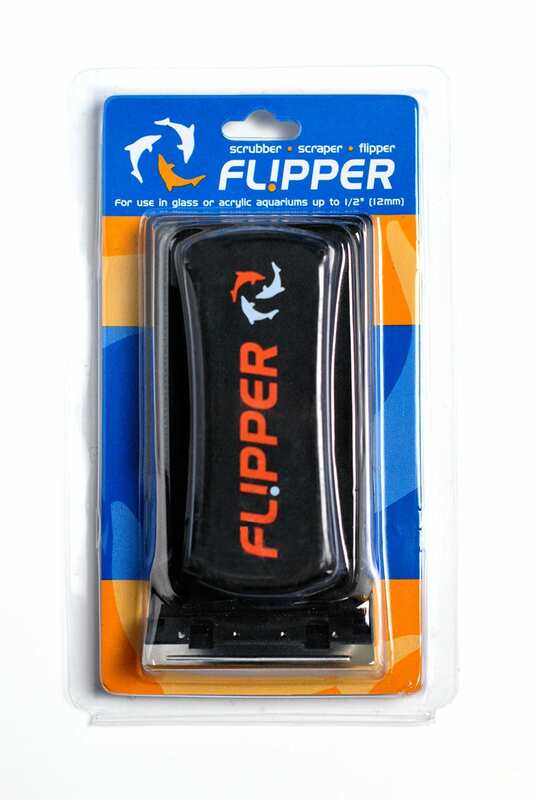 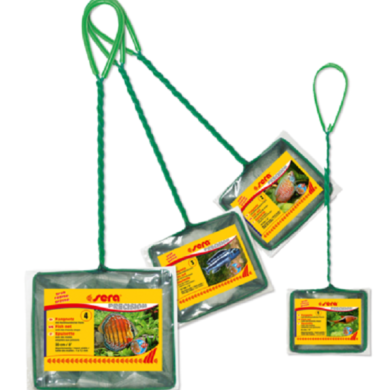 This minimizes the chance of trapping sand, and reduces the chance of scratching, even when cleaning below the sand! 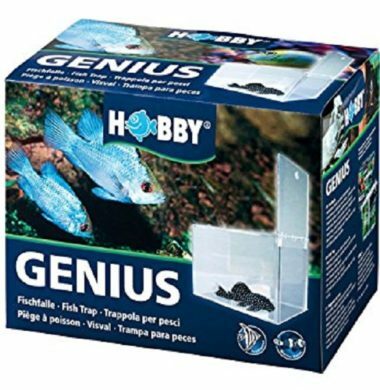 •Unique orienting buoyancy always keeps the magnets facing the glass for easy retrieval. 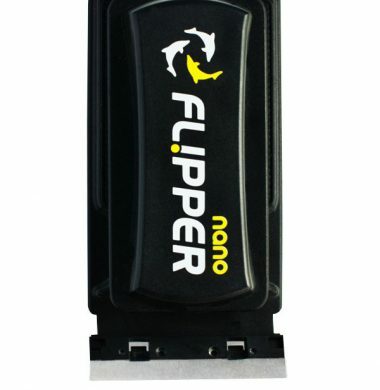 Plus, Flipper is nearly neutral buoyancy so it does not sink like a stone if the magnets are disengaged. 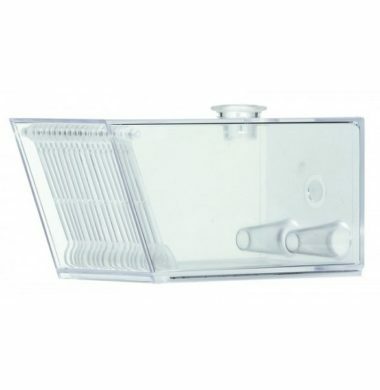 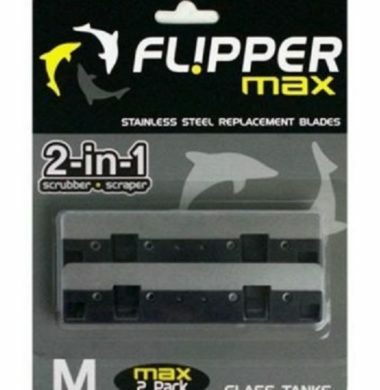 •Includes two replaceable blades: Stainless Steel for glass tanks and ABS plastic for acrylic tanks. 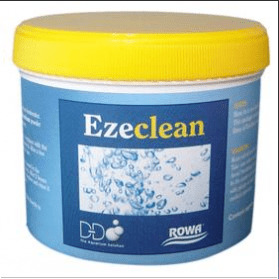 It is suggested to replace blades every 3-6 months to maintain optimal algae scraping.